Vodafone India has announced support of Voice over LTE services for Apple iPhones. At the moment, Vodafone’s VoLTE isn’t compatible with all handsets. The recent addition of iPhones for Vodafone’s Super VoLTE technology includes almost all the latest Apple devices. The compatible handsets listed on the company’s website indicate that iPhone 6, iPhone 6 Plus, iPhone 6S, iPhone 6S Plus, iPhone 7, iPhone 7 Plus, iPhone 8, iPhone 8 Plus,iPhone SE and iPhone X. The company says that it is working with vendors to bring Vodafone VoLTE support other handsets not included in the list. This falls in line with our report of January. Vodafone is also working with Samsung and other top vendors to roll out the VoLTE support patch. By mid-April, most of the Samsung smartphones including the flagship Galaxy S9 and S9+ will be updated with VoLTE support. Voice over Long-Term Evolution or VoLTE is a standard for high-speed wireless communication for smartphones, that offers superior call quality, improved coverage and connectivity. Vodafone’s Super VoLTE offers superior quality HD voice calling, instant call connection and simultaneous voice and 4G internet connectivity. The company says 4G customers can avail the VoLTE services for no additional charges on their existing packs or billing plan. The other list of phones that support Vodafone’s 4G VoLTE includes the Honor View 10, Honor 9i, Honor 7X, Honor 8 Pro, Honor 6X, Honor 9 Lite, Galaxy C9 Pro, Galaxy J7 Nxt, Gionee M7 Power, Redmi 4, Mi Mix 2, Mi Max 2, OnePlus 5 and 5T, OnePlus 3 and 3T, Nokia 5, Nokia 6 and Nokia 8. The list will go bigger in the coming months. 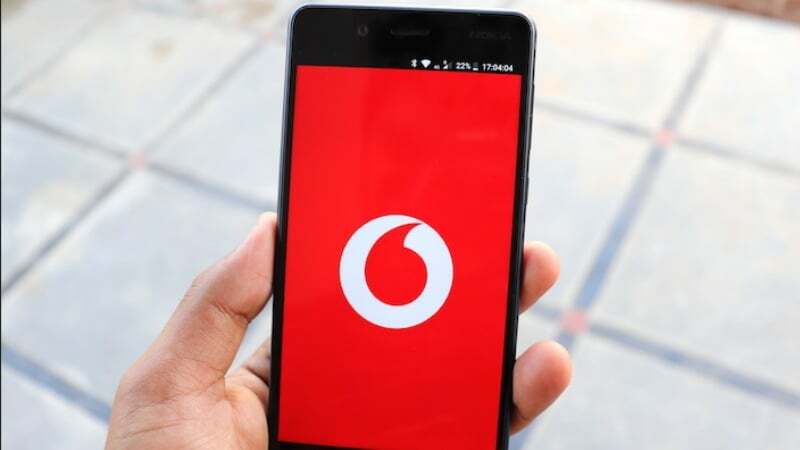 Vodafone says that those with 4G VoLTE compatible smartphone will automatically receive a message telling them that the VoLTE service has been enabled. The users, however, will be required to update their phones to latest OS in order to be compatible with the feature. Step 1:?Insert the Vodafone SIM in the slot with data capability and select network mode as 4G/3G/2G (Auto). Step 2:?Enable 4G VoLTE services on your phone. iOS users will need to go to Settings > Mobile Data > Mobile Data Options > Enable Voice & Data. Android users will have to will have to head to Settings > Mobile networks > Turn on VoLTE call. Vodafone’s VoLTE service is currently also limited to select regions only. These include Delhi-NCR, Gujarat, Goa, Haryana, Karnataka, Maharashtra and Rajasthan and UP (W) circles. Vodafone is currently testing the VoLTE service in UP East and other circles too. As of now, tried Vodafone Volte in two circle and 3 cities but Volte is not working on my iPhone although the Circles(Gujrat and Delhi) have Volte and it is enabled for iPhone 7+. Soon, will update for one more Circle/City. Interestingly, Vodafone Customer Care have no idea with regard to this and definitely has no solution as always.